When Heineken wanted to be a part of the Mad Men craze, it located bottles of their brand from 1962. After working with the show's creative team, the beer landed a place as the central brand in an episode in season two. 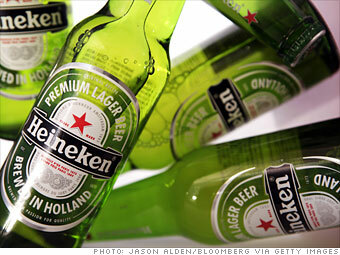 Heineken's partnership with AMC, like those of Chase Sapphire and Hilton, included an event: the company sponsored Mad Men's season-two wrap party, and it presented that season's finale with limited commercial interruption. The episode featuring Heineken concludes with Draper's wife telling him he is not welcome at the house, with the camera capturing him alone in his office kitchen, sipping a Heineken. Unfortunately for show purists, that moment did not come free.